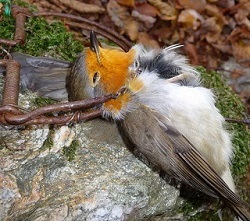 Illegal killing of birds during migration in countries situated in, or along the coastline of the Mediterranean has emerged as a major environmental concern. Research has estimated the annual toll to be in the order of 25 million birds, threatening some species with extinction and seriously reducing numbers overall. IKB involves extensive offending against the domestic laws of many Mediterranean countries and international legislation such as the Wildlife Trade (CITES) Regulations. In so far as it is occurring within the EU, it also breaches the obligations of member countries under the Wild Birds Directive (No 2009/147/EC), the longest standing EC environmental directive. The workshop for Government Prosecutors on the Illegal Killing, Taking and Trade of Migratory Birds in the Mediterranean Region aims to train prosecutors and investigators of countries in the Mediterranean who have current responsibilities for bird/wildlife enforcement. The workshop is a joint initiative between the European Network of Prosecutors for the Environment (ENPE) and the Convention on Migratory Species, UNEP/CMS. The workshop will be hosted by the ENPE Life Project “Wildlife Crime” Working Group in cooperation with CMS with support of the European Commission at the National Centre for Environmental Education (CENEAM) in Valsaín, Segovia, Spain.